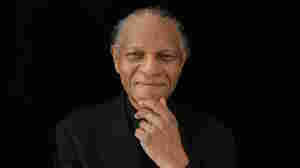 January 30, 2013  Few pianists have been as influential to modern jazz practice as McCoy Tyner. And at age 74, his driving left hand and dense chords are still in fine form. He performs at the SFJAZZ Center opening. May 28, 2014  They first recorded together in 1966, around the time both were signed to Blue Note Records. 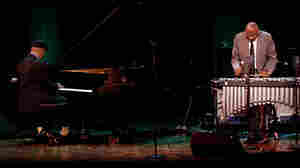 The pianist and vibraphone player have been working together ever since. Watch a duet performance. 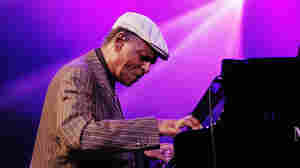 October 1, 2009  Perhaps no other living jazz pianist has as impressive a resume as Tyner. He began his professional career with Benny Golson and quickly found himself in the legendary John Coltrane Quartet. In a session from Jazz24, Tyner performs a solo version of Coltrane's "Naima." December 11, 2008  The jazz piano legend is celebrating his 70th birthday with a weeklong stint at the Blue Note jazz club in New York and with a new record featuring guitarists such as John Scofield and Derek Trucks. The secret to his musical longevity? "Carrot juice," he says. November 20, 2008  In the grand scheme of Tyner's discography (one of postwar jazz's most consistently invigorating), the duets collection Guitars feels like more of a curious one-off than a significant late-career addendum. In his new reinvention of "Greensleeves," the jazz-piano legend collaborates with blues guitarist Derek Trucks. July 11, 2008  He cut his teeth with the John Coltrane classic quartet of the '60s, and spent the following decades securing his own legend. 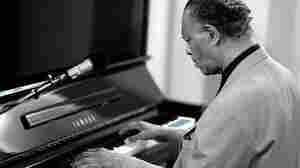 The jazz piano giant, known for his muscular and percussive attack, performs solo and with his own quartet in Los Angeles. December 27, 2007  In terms of integrity, Tyner is the same pianist today as he was with John Coltrane in the '60s. Tyner plays with color, like a big abstract painting, and dances with rhythm. Hear a concert recorded at Yoshi's in Oakland, Calif., with special guest Joe Lovano. December 13, 2007  WDUQ's Shaunna Morrison Machosky picks her Top 10 jazz CDs of 2007. All meet these criteria: The albums feature solid, engaging and interesting compositions, they're not simply collections of same-old jazz standards, and they're worth repeated listens. September 26, 2007  Fresh Air's jazz critic reviews Quartet, a live performance from the McCoy Tyner Quartet, featuring pianist McCoy Tyner, saxophonist Joe Lovano, bassist Christian McBride and drummer Jeff "Tain" Watts. January 4, 2007  Co-produced by NPR and WBGO, Toast of the Nation presents McCoy Tyner with saxophonist Joe Lovano at Yoshi's in Oakland, California. The quartet includes Christian McBride on bass and Jeff "Tain" Watts on drums. 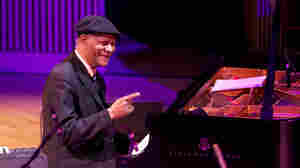 May 9, 2006  Ed Gordon speaks with celebrated jazz pianist McCoy Tyner about his latest collaboration with acclaimed tap dancer Savion Glover in a series of performances in New York City. August 1, 2001  On the liner notes of A Love Supreme, John Coltrane describes how studies of Eastern religions –- particularly Sufism –- transformed his life. Along with its religious undertones, the album has great jazz sets, including solos by pianist McCoy Tyner, drummer Elvin Jones, and bassist Jimmy Garrison. November 29, 2007  Legendary pianist McCoy Tyner recently released a new album, adding to an extensive catalog that dates back to the early 1960s. Now pushing 70, Tyner still sounds as original as ever. Hear five introductory songs from WDUQ. September 12, 2008  The inventive composer and pianist puts his prodigious technique to work in this 1983 episode of Piano Jazz, hosted by Marian McPartland.